The objective for this backyard located in Furlong was to design and build entertaining areas on a new construction home built on a small lot with tight association regulations and setbacks. Garden sitting terrace walls were used to delineate the dining space near the kitchen. 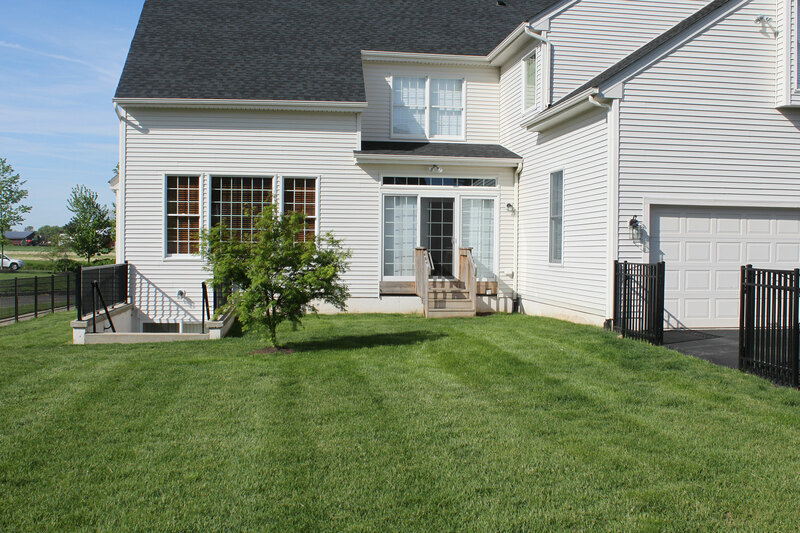 The paved area encompasses from the kitchen entrance to the basement steps via paver patios and walkways that flow seamlessly. 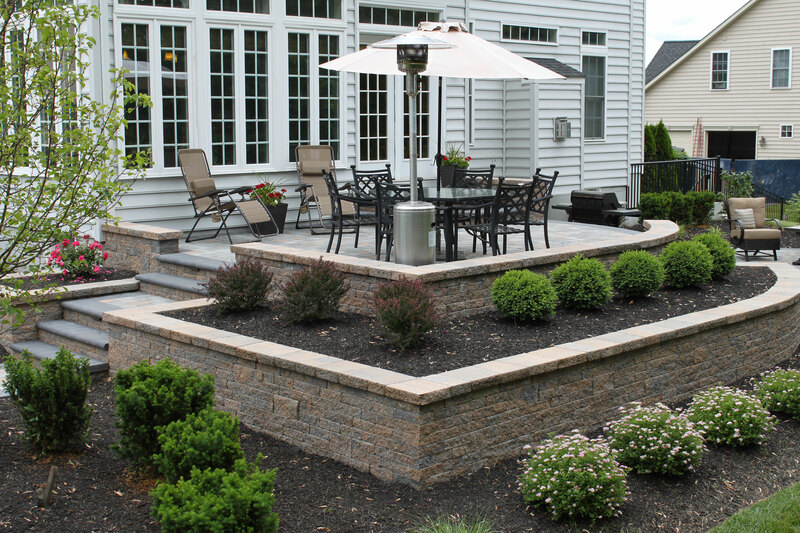 Use of semi circle patterns softens the hardscape and the main circle pattern is a perfect spot for a bistro table. 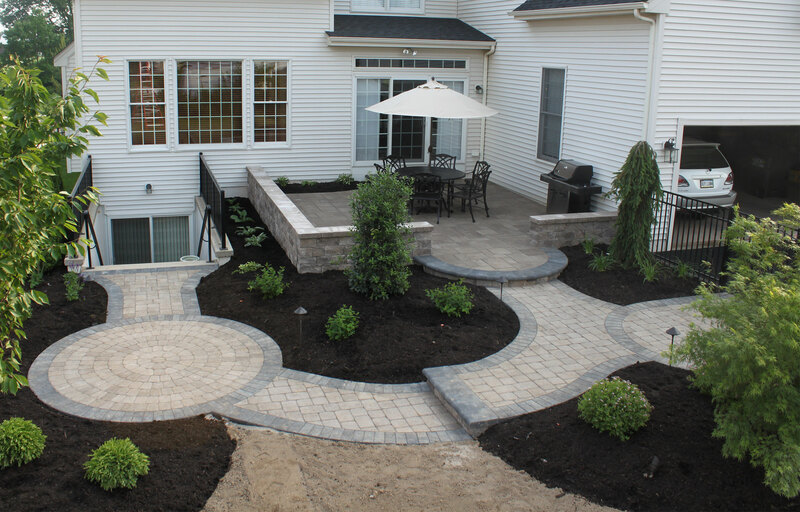 The pavers and steps are contrasted with a charcoal border. 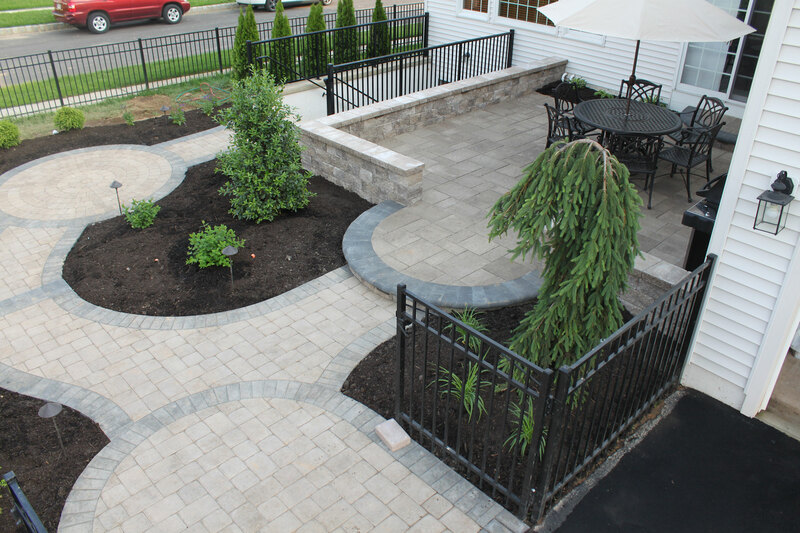 Beds are landscaped around the pavers to beautify. 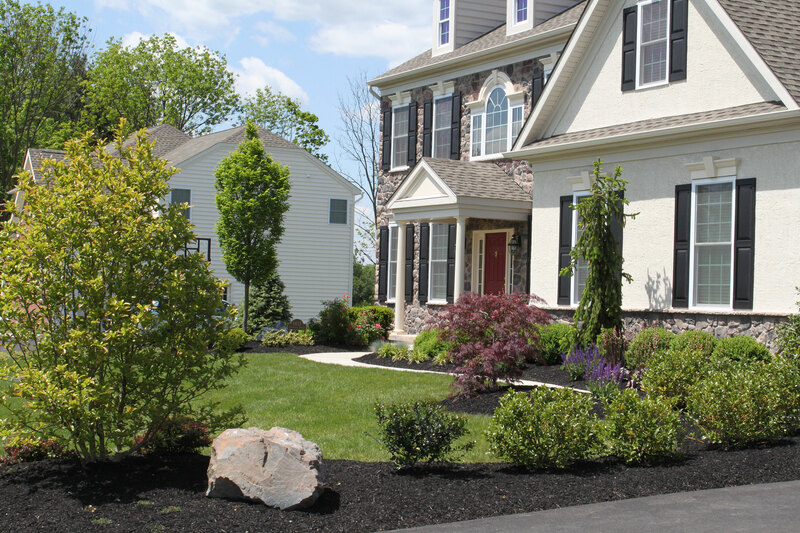 A Japanese Maple Tree and Weeping Spruce are outstanding ornamental plantings in this landscape. Tall Arborvitaes are planted to block off the road from the patio.